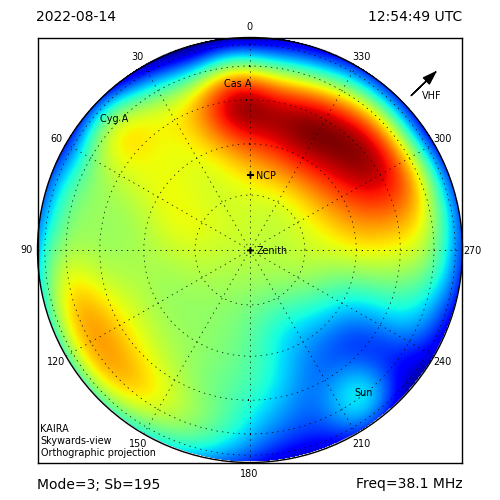 Here is some more news from the recent I-LOFAR meeting. 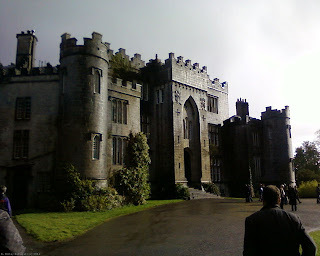 On the first day there, there was a reception in the Castle. The 7th Earl of Rosse, and current occupant of the castle, delighted delegates with a lovely reception including a very brief introduction to the history of the castle, the Earls of Rosse and the area itself. The Earl was enthusiastic about the I-LOFAR project, and our Irish colleagues must be thrilled to have such fantastic support. 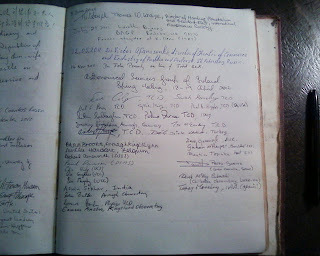 As this was the inauguration of the project at Birr Castle, the Earl thought it appropriate that his guests would sign the castle's visitor book. 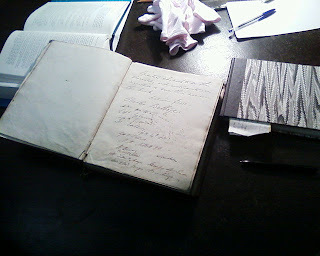 Yes, this is the original visitors' book. 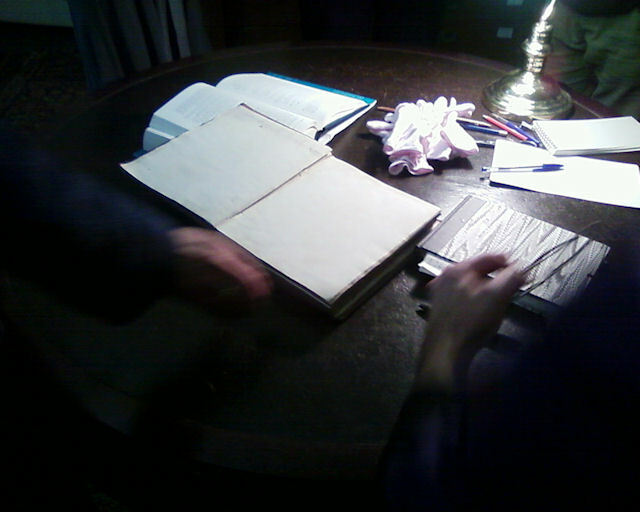 With cloth gloves for handling it, this volume was every bit as awe inspiring as it might sound. Among the entries are some very esteemed names. George Airy, William Herschel and, on the very first page, Charles Babbage. 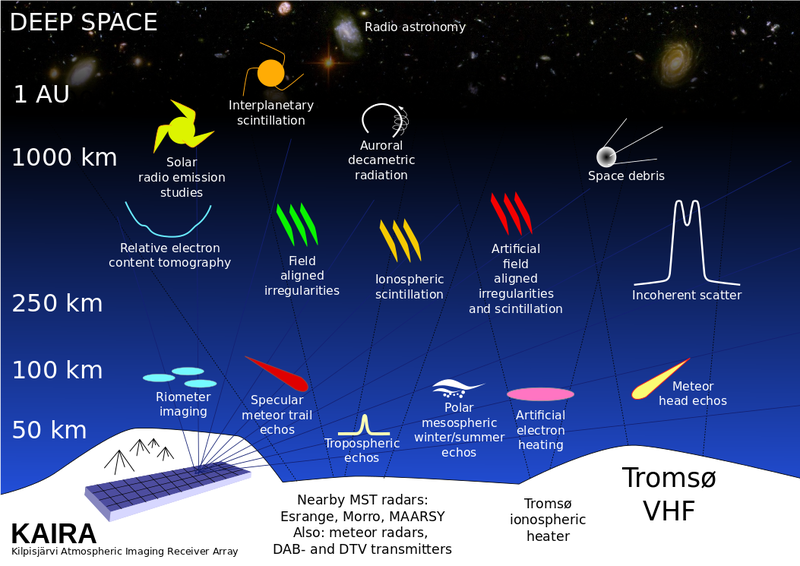 It is a strange twist of fate that brings together such great names, given that the LOFAR system, indeed, combines aperture physics, astronomical discovery and the power of computing to realise its potential. And yes, much honoured and humbled, I was invited to sign the magnificent book as well. Let's hope that this inspiration will drive us (I-LOFAR and the LOFAR community in general) to accomplish this ambitious project and make future generations look upon those pages with even a tiny fraction of that which we have for our scientific predecessors.